Cultivate had a great article about where to splurge and where to save on your kitchen appliances. Are High-End Appliances Really Worth It? I love seeing pictures of stone quarries. They fascinate me. Digging Into the History of Vermont Granite Quarries was an interesting article with a lot of fun pictures. 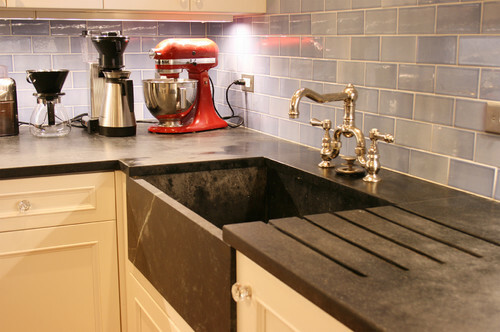 If you follow us on Instagram you saw that we installed a beautiful Soapstone Kitchenette this week. Soapstone is one of my very favorite natural stones. Read more about it on Houzz... Counter Intelligence: Durable, Easy-Clean Soapstone.